Eagles hunting from the bluff; Dip pen and ink. 7″x9″ on bond paper. This was an onsite rendering in Duluth, Minnesota. Plein air ink work is tricky but fun, and usually requires both touch up and clean up back in the studio. I seldom do very large or complicated pieces in the field, not because of the complexity of dealing with wind, sun, rain and the tools, but because the time spent drawing in ink could have been used to sketch two or three ideas that could be rendered better, later. 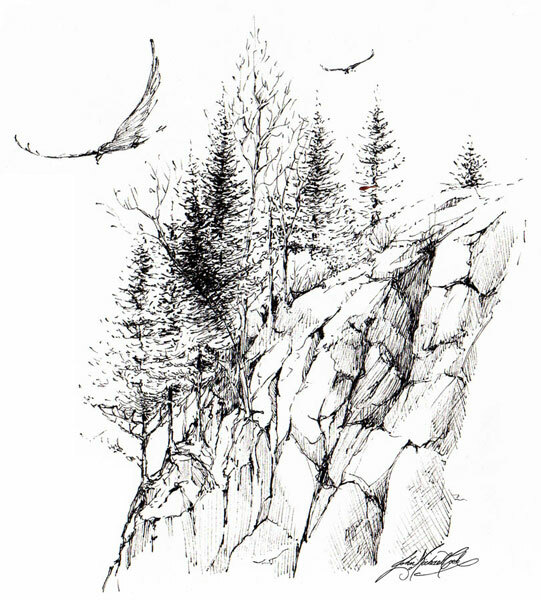 Little time was spent on the eagles, but on forming a good likeness of the rocks. I render as I go, so it is a little slower. The spontaneous outcomes cannot be recreated later though, nor can the lighting conditions. With a little research on the eagles, this will become a more refined work in color. Looking up past pines on the bluffs, the sky can be a very striking blue behind the tree green and gray-black bedrock outcroppings. 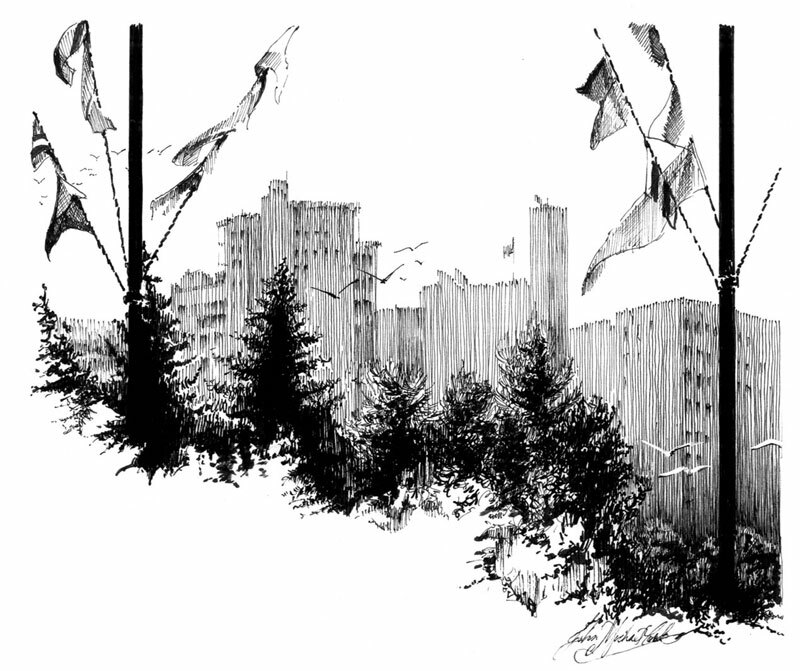 This entry was posted in Duluth Mn., Pen and Ink and tagged Duluth Mn., eagles, John Michael Cook, Original Minnesota art, pen & ink, plein air, Study sketches on April 29, 2013 by eightdecades.